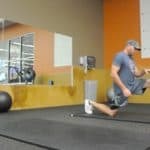 #1 Reason People Quit On New Years Resolutions - Golf fitness training and workout programs based on functional fitness. January 1st just hit. Most of us have made a few resolutions for the New Year…. how many of us will keep them? And if you haven’t made any resolutions, why not? 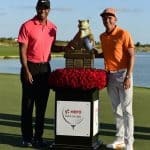 Take a few minutes to think about your golf fitness and life resolutions. Whatever your resolutions are, make sure you add an extra one – TO HELP OTHERS. Add a resolution to your list that in impacts others. This resolution could be to volunteer more or simply show more kindness to others. This may sound ridiculous, but I believe if you can help others, goodwill comes back to you in spades. Not to mention, it just feels good to help other people. However, I realize you will have one thing near the top of your list. Pretty easy to predict actually… and it’s most likely one you’ve had before and failed at. Getting in shape sounds great when it is written down on a piece of paper. Just three words. In reality, we both know there are demons in the back of your mind talking you out of achieving this goal. Quieting those demons and achieving success is pretty damn challenging. They get overwhelmed. Then they quit. Getting is shape can be challenging, but should not be overwhelming. Should I weigh once a week, twice a week, in mornings? Should I avoid all carbs? Should I do 20 minutes of cardio or 30? What types of exercises should I do? When should I start? I want to wait for Monday! Overwhelm is the killer of many dreams. Quieting the mind and finding a plan you believe in, is the KEY to destroying overwhelm. The good thing is, I’ve created tons of plans for you that are ALL PROVEN TO WORK. The BRAND NEW Flatbelly Challenge. I’ve created everything you need and laid it out so you aren’t overwhelmed. In fact, I’ve created a daily checklist that’s not overwhelming… you just follow the daily checklists and before you know it…. WHOOSH! You are well on your way to fitness and health. Quiet your mind with all of these nagging questions. Don’t think, just do. Follow the plan I lay out for you. Nothing is ever perfect, and if we keep waiting for the perfect time to start something, we will never do it. Professionals don’t wait for tomorrow, they take action immediately. Amateurs wait for a tomorrow that never comes. With your health, you can’t wait for tomorrow. We only are given so much time on this earth, we should be as healthy as we can possibly be. Waiting for tomorrow will NEVER make you healthier. Who cares if it’s Wednesday – start TODAY. Don’t wait to have a certain piece of exercise equipment when bodyweight will work just fine. Take action, whether it is perfect or not. STOP. OVER. ANALYZING. AND. START. DOING. Any top mentor will teach you that in order to achieve the success you wish you need to locate a person who has achieved this success – and is willing to TEACH AND GUIDE YOU. Learning from someone who has been where you are, and is heading where you want to go is your fastest route to success. By knowing what you will be doing, all you have to do is show up. A solid plan of action eliminates guesswork and provides a framework or blueprint you need to achieve your goal. The latest Flatbelly Challenge includes a daily checklist and calendar… you’ll know exactly what to do. The next thing I see are people looking to attain perfection. It’s not possible. It just isn’t. So let’s embrace that… and here’s what usually happens. Someone misses a day and the feel like they have fallen behind. And if you fall behind? Yep, my general rule of thumb is let it slide and move on down the road to the current day task list. For example, if we missed a day due to work, illness, stress, anxiety, children soccer events, LET IT GO. If you missed Wednesday and it’s now Thursday… just do the Thursday checklist. It’s time to let go of perfection. Success doesn’t care if you are perfect or not. It only cares that you did what you needed to do to succeed. In this case, we missed a day. There’s no reason to throw the entire plan out the window and start over on Monday… the reality is, when you think like that, you DESTROY THE ENTIRE PLAN. You and I both know you just created an EXCUSE to eat bad, slack off, and basically “re-energize” yourself for Monday. Don’t fall into that way of thinking… it’s a disaster waiting to happen. Just adopt the new approach of, “SO WHAT“. Reaching an easy goal provides no satisfaction. Reaching a difficult goal… well, that’s your own personal Rocky story, isn’t it? I’ve removed the overwhelming aspect and given you a new thought process to deploy – JOIN THE FLATBELLY CHALLENGE. Are you up to this New Year and the challenge of a healthier you? 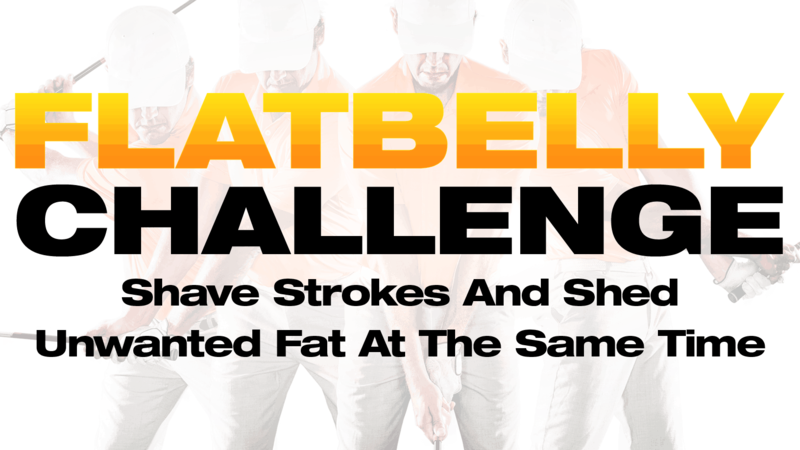 January 1st I released The Flatbelly Challenge into my Get Golf Fit members clubhouse. 90-days of Done-For-You workouts ready to go. 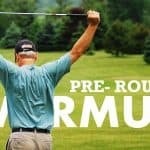 No excuses, just do the workouts each day – improve your golf game, lose fat. The first month of the program requires bodyweight only… join the Challenge.